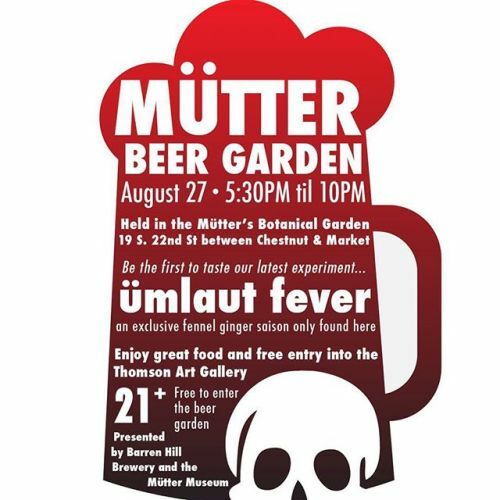 “August 27: Beer Garden Fever! Come try our exclusive beer, brewed using two ingredients from our medicinal herb garden - fennel and ginger! You heard it here first! #lovephilly #philadelphia #botanical #botanic #beergarden #craftbeer #saison #visitphilly” By muttermuseum on Instagram.